You should have a good idea about how to start a blog and get it looking like how you want it. However, for your blog to work it needs visitors – referred to online as ‘Traffic’. Getting your blog listed on a major search engine such as Google is a great first step, but what other ways are there for you to promote a blog such as yours? There are likely a lot of people out there like you, who can write and maintain great blogs, but cannot get the readership they need to make it worthwhile doing. You could have the most interesting blog in the world, but will still fail if you do not get the traffic to build up a faithful readership! If people don’t know your blog exists, then there is little point in you writing and publishing it. Tell people about your blog! Shout it out and make sure they hear you! Most people don’t know how to do this, but we are here to help you. 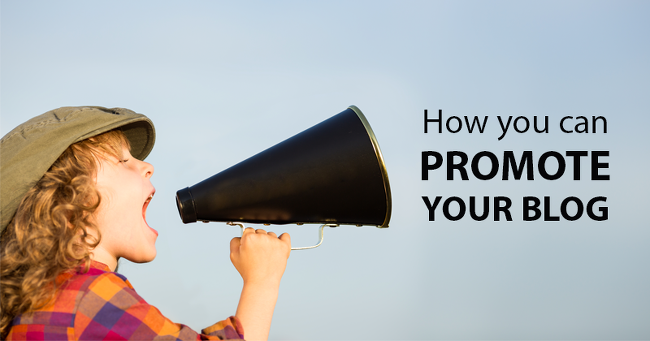 There are countless ways to promote a blog, so let’s get started with those most likely to attract readers to your site. Start promoting your blog once you have written your first post. Do not wait until you have lots of posts, because it takes time for people to notice! Why do you think that TV adverts are so repetitive – because it takes time for people to become familiar with the product, and eventually make the decision to try it out. Were this not the case, then there would be no market for this type of advertising. When you promote your blog you are in effect advertising it. It takes time to get results, so start as soon as you have one post written and published – but make it a good one that will be sure to interest readers. Only you can do this, so we can’t help you with it. Try it out on your family and friends: do they think it would persuade them to bookmark your blog and follow every post? 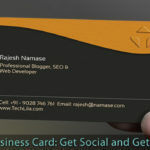 That said, let’s look at best ways to promote a blog online. Facebook: If you don’t have a Facebook account then get one! Facebook is a great way for bloggers to interact with their readers outside of the blog itself. If there are other bloggers in your niche, then Follow them and send them a Friend Request. Every time you publish a post or static page, make sure you post a link to this on Facebook. You can do this using both your personal Facebook account and a Business or Fan page. Twitter: The same goes for Twitter. Ask others in your niche to follow you – and make sure you tweet each time you post – with a link to your blog in the tweet! Pinterest: If images are relevant aspect of your blog, then make sure you have a Pinterest account. You can pin images on your board, and attach a link to your blog on each image. BlogBookMark: This is a social site designed just for people looking for blogs on topics that interest them. Users use a search box and BlogBookMark searches the web for a selection of blogs offering chatter and news relevant to the keyword used. You can benefit significantly by adding your blog to this site. Other Social Bookmarking: You can publish original articles and posts on social bookmarking sites such as Blinklist, Reddit, Delicious and Technorati. Many people use such sites to find such publications in their own area of interest. Social media enables people with an interest in your niche to find your blog and also for you to communicate with and interact with them. This is the best way of building a large readership. Not only that, but every link on these sites improves your SEO, and can potentially improve your search engine ranking. If you get onto the first page of Google for even one keyword related to your blog then you have a massive opportunity to build a huge readership. Why not carry out a web search for the most popular social sites and join them? Many blogs allow you to comment on posts and provide a link back to your own post. Use these as much as you can, but only where the bog is directly connected to your topic. If you blog about training cats, then don’t leave a link on a blog about training dogs! ‘Pet Training’ would be OK – think of yourself, and whether or not you would want to be led to a dog site if you are blogging about cats! It is also very important to leave only positive comments. 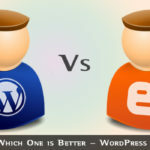 Do not criticize the other blog, because that may put others off clicking on your link. In fact, some might do so simply to make adverse comment back on you. So always be nice when commenting. Also – do not overdo comments. Don’t comment on every post – maybe one or two each 10 posts that relate directly to your own area of expertise. NEVER use spamming ‘comments’ software – always add your comments personally! Contact other bloggers in your niche and ask if you can write a guest post in return for a link back your site. Readers of other blogs in your area of interest may then come across the link to your blog and possibly visit it. Many bloggers will refuse your request, but even if just one agrees, you will have benefitted for no cost to you other than the time taken to write the request. If you respond to the content of another blog in your niche, and include a link to that blog post in your response, then what is known as a ‘trackback’ can give you an automatic link back from that blog. Other people reading that post will see your link and could click it to get to your own blog. Your response could be anything: additional content top that post or even a criticism of it. For this to work as you want it to, you must show a level of expertise on the subject and to be seen as somebody worth listening to. Forums can be a rich source of new traffic, particularly if you can answer questions no one else on the forum can answer adequately. Seek our forums related to the main focus of your blog and join them. Whenever you get the chance to do so, help others with their questions and problems. Most forums allow you link your name to your site, or even add a direct link on your member’s signature that appears on every post. Check out the Terms and Conditions of each forum to establish the rules – some may require you to have written a certain number of posts or responses to be allowed this link. Once achieved, it can be a very rich source of relevant traffic with a keen interest in your topic – and hence an interest in your blog. All of this might seem like hard work, but it is not really once you get started. Many bloggers love interacting with the online community in a way that gets them more traffic – and traffic is the lifeblood of any blog. However, the one thing you can do to keep people interested in your blog is make regular posts. If you post 2-3 times a week your readers will maintain an interest – if you post once a month or so they will tend to disappear! Many people want to make money from their blog – and why not? Others might just be running it as a ‘hobby blog’ or as a personal diary for their family or friends. 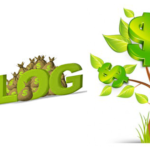 If you want to use your blog to make money then you can do so if you go about the right way. The next Step will show you How to Make Money with a Blog. Hi, Will definitely follow this , Just want to say your article is astounding. The clarity in your post is simply spectacular and I can assume you are an expert on this field. Well with your permission allow me to grab your rss feed to keep up to date with incoming post. Thanks a million and please keep up the fabulous work. This is a pretty good blog post. I just stumbled upon your blog and wanted to say that I’ve really enjoyed reading your blog posts on promote. In any case, I’ll be subscribing to your feed and I hope you post again soon!